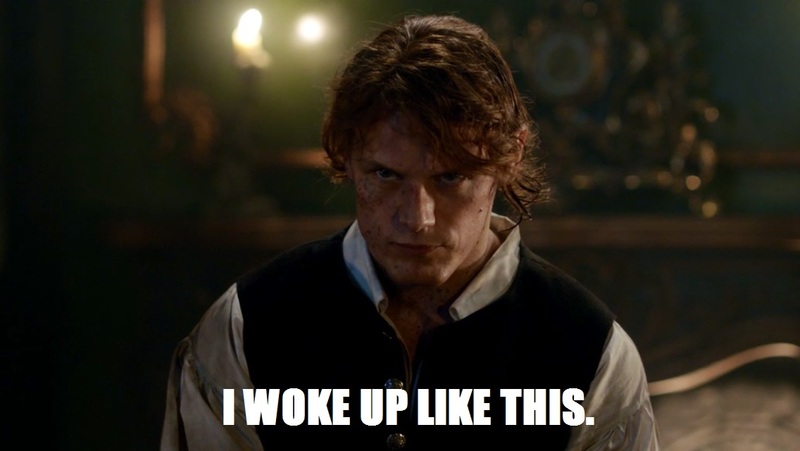 Warning: I’m about to gush obsessively over Jamie Fraser in a way that shouldn’t seem like anything new if you’ve ever read this blog or met me for five seconds, but still might come off as a bit much because SERIOUSLY JAMIE FRASER HAS NEVER LOOKED THIS GOOD, EVER. Episode 206, “Best Laid Schemes,” proves that Outlander just keeps getting better and better–and Jamie keeps getting hotter and hotter. Some of the most crucial, highly anticipated moments from Dragonfly in Amber went down in this episode, in addition to some twists and surprises that took the show to another level. (More Murtaugh, y’all!) Let’s take a look at the best of the best from this week, including some tremendously hot Jamie, in this installment of Outlander Superlatives. Look, someone had to put that sicko Black Jack out of business, and it would have been wrong if it were anyone other than Jamie, who did it with the most perfect display of poetic justice I’ve ever seen. And I know, I know. Frank! How will he ever be born? Does it matter? 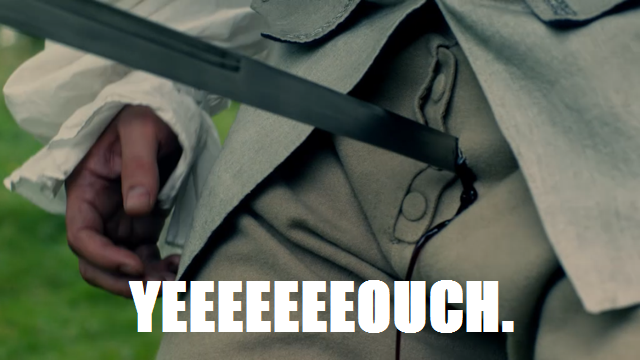 Black Jack got stabbed in his manhood! Bonus points for Jamie looking extra hot while dueling. Guys. JAMIE HAS NEVER LOOKED HOTTER THAN HE DID THIS WEEK. At every turn, there he was, looking luminous. Being hot riding horses, being hot testing out Claire’s faux pox concoctions, being hot staring down St. Germain and his rude “hey you”s. It almost makes it impossible to pick the hottest Jamie this week. Almost. The Jamie talking to his unborn wean might be my favorite Jamie ever. 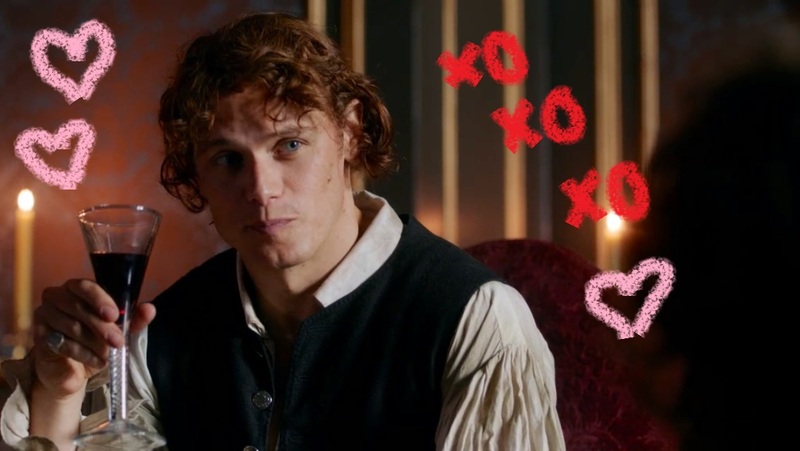 Leave it to Laird Lallybroch to be sweet, emotional, vulnerable, and smokin’ hot all at the same time. I canna. I just canna. Look at those fingers. They know what they’re doing. They’re also really beautifully sculpted, objectively speaking. 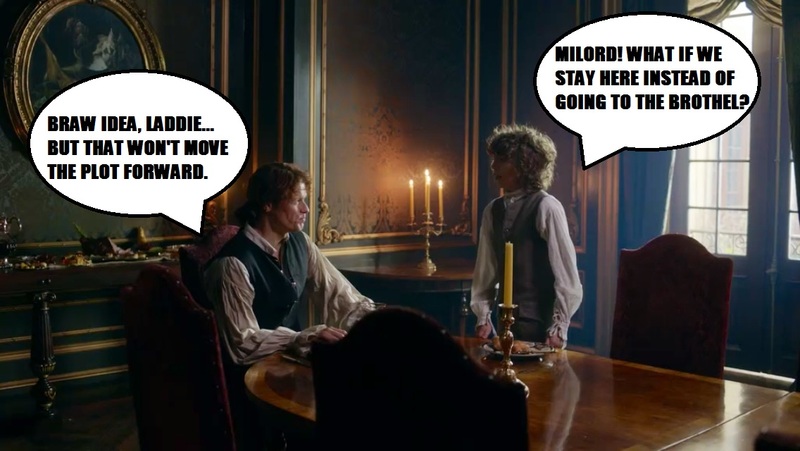 I can’t think about all of the stuff that happened once Jamie and Fergus went to Maison Elise, but I’m very comfortable watching Milord and his pickpocket smile and joke over the breakfast buffet. Can we just stay in this moment forever? 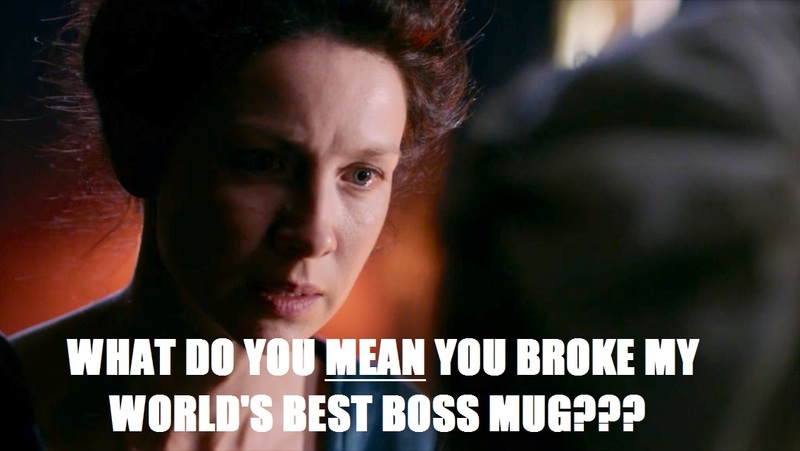 I really wouldn’t want to work for the Frasers. It must be all drama, all the time. The husband sneaks off to duel and the wife shows up all, “Take me to my husband, you fools!” Nothing could keep Claire from hunting down Jamie and Black Jack—not her full term pregnancy, not the fact that she’d been bleeding the night before, and certainly not some servants who wish to remain tight-lipped. At least Suzette’s got Murtaugh around to keep things fun, am I right? Real talk: I want a camera on Murtaugh 24/7. I want to watch him attack his breakfast, watch him figure out what to wear in the morning, and watch him practice his dance moves because you know he is not letting those skills get rusty. In case I haven’t made it clear, I am beyond obsessed with Murtaugh this season, and this episode proved why he is seriously the best thing going on TV right now. 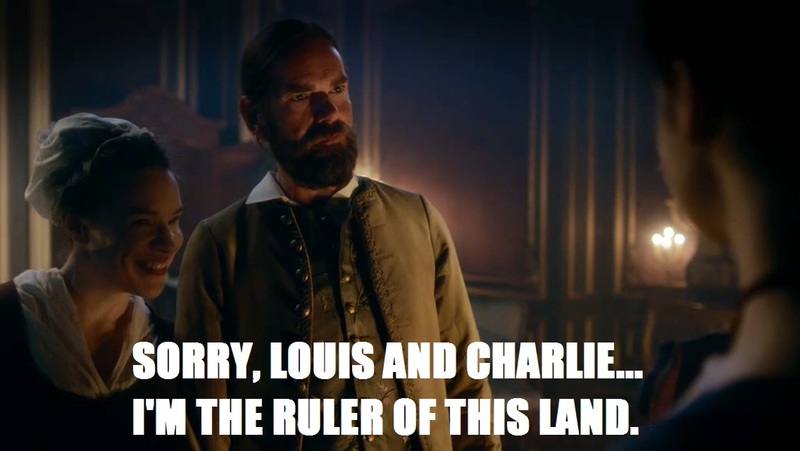 Only Murtaugh could punch Jamie in the face with such love, wholeheartedly believe that Claire is a time traveler, show such vulnerability when asking how much she knows about the future, and be so grossly offended by putting on a frilly shirt and vest. Murtaugh Fitzgibbons for life, y’all! 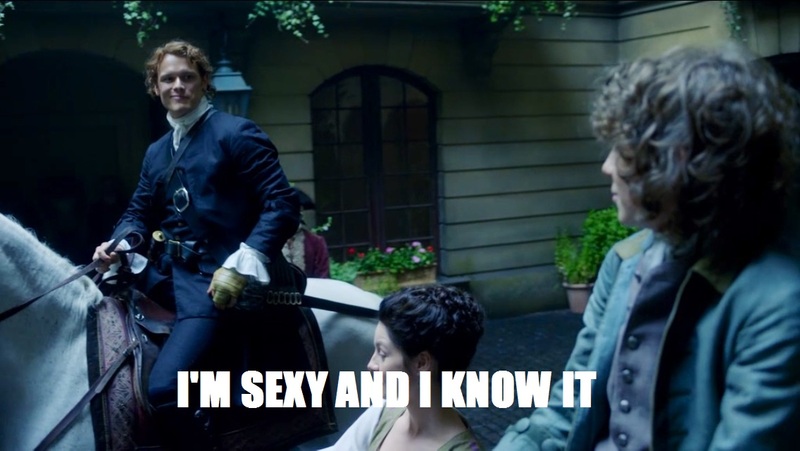 Did you have a favorite moment this week that didn’t involve Jamie’s beauty? Or, you know, one that did? Are you ready for the agony that surely lies ahead in Episode 207,”Faith”? At least we’ll always have Jamie and Fergus eating brekkie.